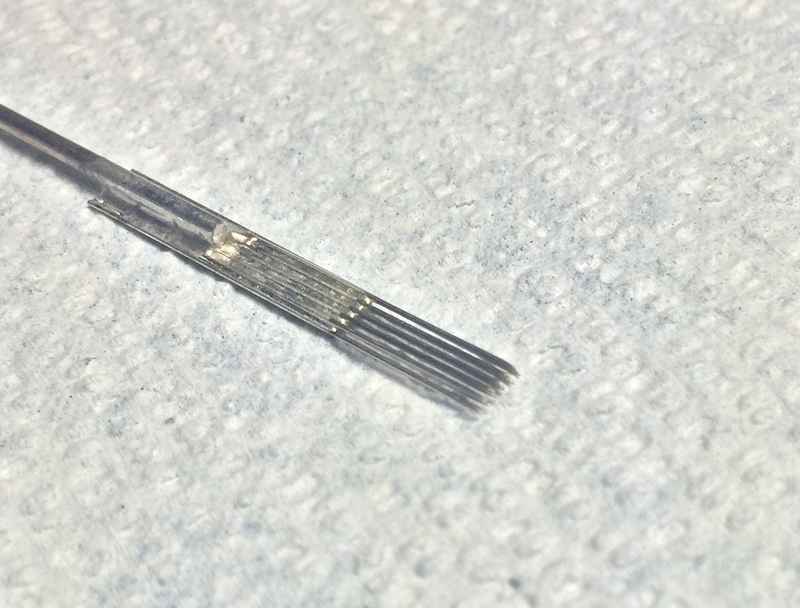 It is very common for me to be asked “is that a different sized needle?”, and similar questions. Here are the answers. 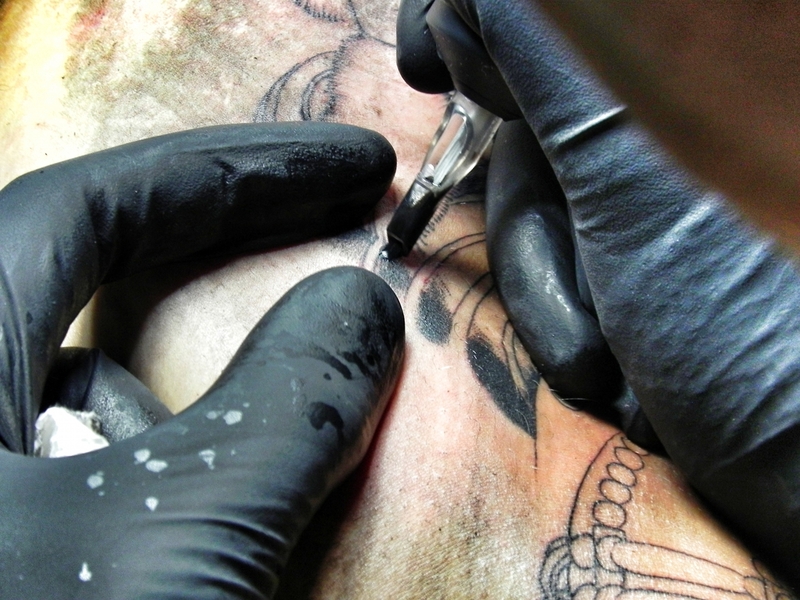 Think of tattoo needles like individual hairs in a paint brush. All of the hairs in a paint brush are more or less the same, but we all know that paint brushes come in all shapes and sizes. The same is true for tattoo needles. 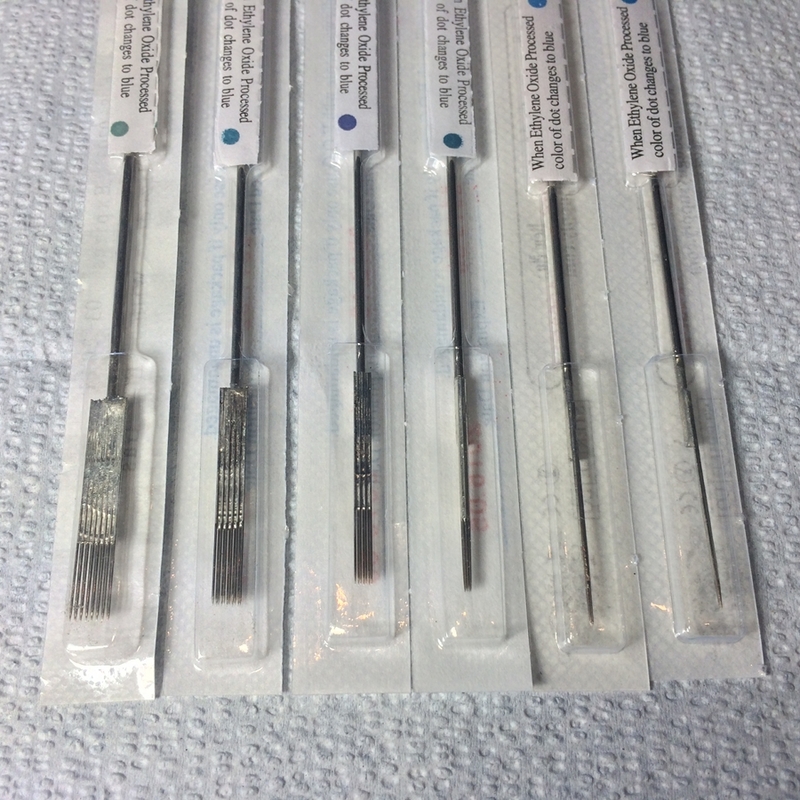 The needle bar is placed within the “tube”, a stainless steel (re-useable) or rubber and plastic (disposable) device which provides a hand grip for the machine, that allows the mechanism to function within and through it, and also to provide a reservoir for the pigment. 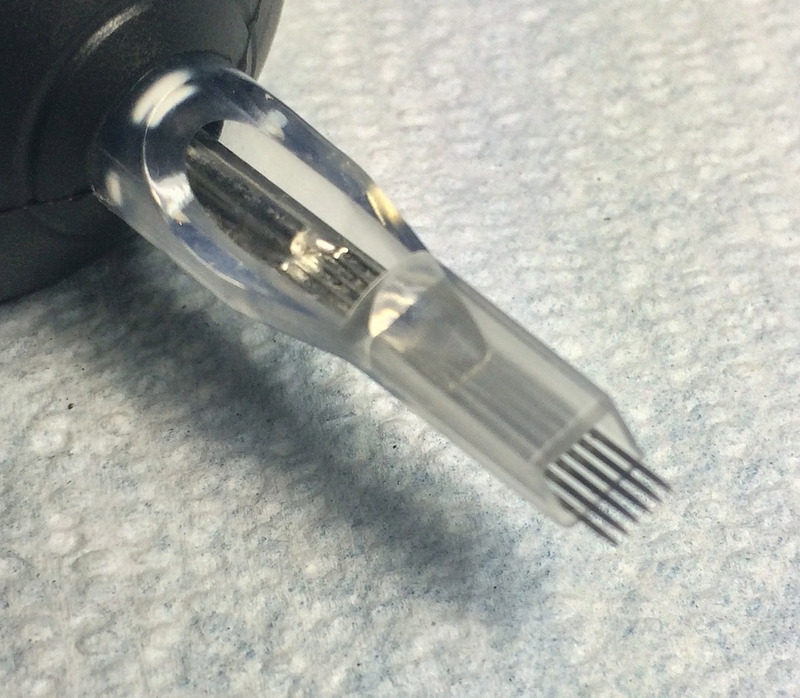 The amount that the needles actually penetrate the skin is about what you see above, or roughly the thickness of a nickel. It is a common point of interest for most people to learn that in fact, the more needles we use, the less it hurts! The tiny liner needles seem to hurt the worst, feeling a bit like a razor cut, and the larger, looser shader needle groupings tend to feel more like a milder, more diffuse burning sensation.